BlazeAid volunteers rebuild fences after fires, floods, drought and cyclones. | BlazeAid helping communities rebuild after Natural Disasters. Welcome to BlazeAid – a volunteer-based organisation that works with families and individuals in rural Australia after natural disasters such as fires and floods. Working alongside the rural families, our volunteers help to rebuild fences and other structures that have been damaged or destroyed. Not just rebuilding fences, but helping rebuild lives. BlazeAid is running a fuel drive to try and raise funds to cart 800 tonnes of rail line to help with the recent NW Queensland flood recovery. 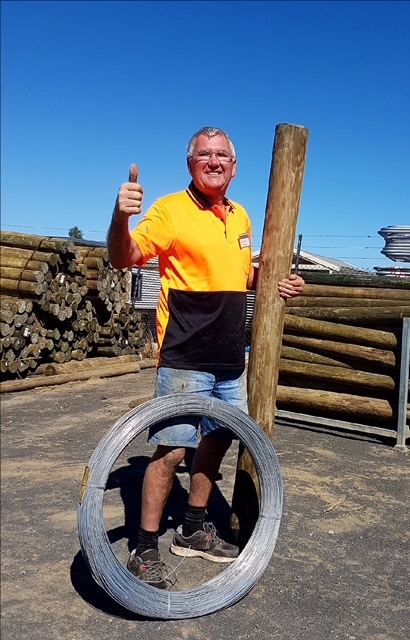 Last week, Michael King 0428 929 598 from Port Headland WA freighted – by road train- 200 tonnes of railway line for fencing posts to help flood hit NW Qld farmers in Cloncurry and Richmond. There is another 800 tonnes of rail line ready to come over and blazeaid is seeking fuel vouchers from fuel companies as well as help from fellow aussies to pay for the fuel. This is for another 12 road trains to make the big trip across and back of near 8000 kms- at a fuel cost of $10,000 for each road train. Please, consider putting in for BlazeAid’s ‘West to East Railwayline Fuel Drive’ by googling BlazeAid donations and sending us an email to tell us that it’s for the West to East Railwayline Fuel Drive. Rhonda and I sold our merino wool clip in Melb yesterday. 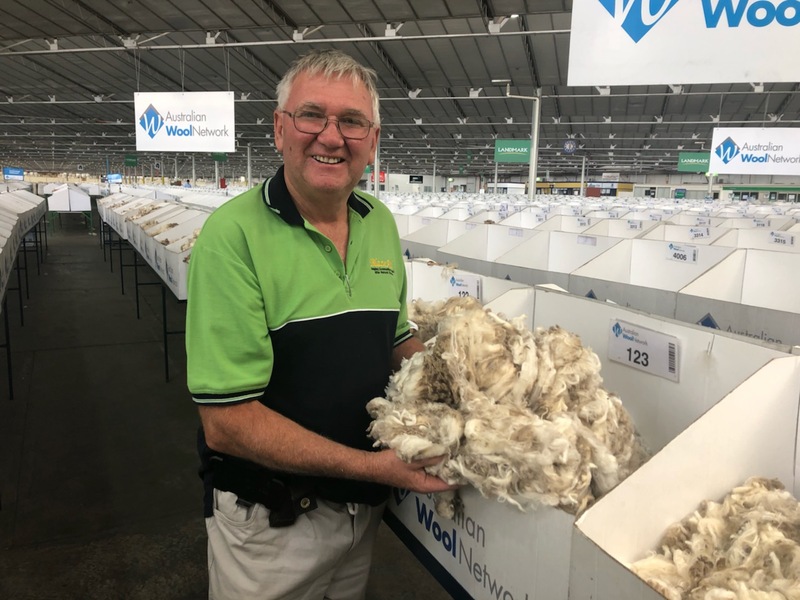 While inspecting our wool in the sample boxes prior to the sale, I couldn’t help feel how grateful I was – that I had not been hand feeding out a diminished flock in drought for 7 years but had a wool clip to sell right now at high prices and I would go home after these sales and feed mobs of ewes that were not against fences drowned but had from them an income for the next three years and more. The sobering story of the flood hit NQ Qld graziers after 7 years of drought and catastrophic floods smashing their herds and future incomes for several years is something I can’t get my head around- they and their young families must be helped by us. So it was an empathetic no brainer to have my agents Aust Wool Network deduct just .05% of my gross proceeds ($600) and have it put towards BlazeAid 100% of which is destined direct to NW Qld graziers for vouchers of $3000 Post and Wire Et al ( meaning ALL flood related repairs & rebuilding- fencing materials, pipes, troughs – even vaccinations for botulism ) to be spent at their local Stock and Station agent in centres like Cloncurry, Richmond, Julia Crk,Winton, Hughenden, Mt Isa. Local traders need this outside cash injection as they depend on the graziers- many of them have direct connections to the land and have suffered massive losses as well. Last week, BlazeAid Coordinators handed out $40000 to 15 graziers – the first of what will be recurring grants to vetted, deserving and worthy graziers. So far about $220,000 has been raised and I would like to see reach $10mill over the next 6 months. Blazeaid is seeking donations towards the Post and Wire Drive to help Queensland Flood Victims. If you would like to donate to BlazeAid and have your money go to a our Posts & Wire Drive for deserving and appreciative farmers, simply let us know via email at admin@blazeaid.com.au or ring Debbie on 0418 990 267. You can use any of the donation methods outlined on our Donations Page. BlazeAid is now a registered charity with PBI status. A Public Benevolent Institution (PBI) is a type of charity which has a predominant (main) purpose of relieving needs arising from conditions such as poverty, sickness, distress or helplessness. This is known as providing ‘benevolent relief’. PBI status is recognised by ACNC and ATO alike and BlazeAid can now provide its donors with tax deductible receipts. This is a very welcome annoucement and BlazeAid looks forward to being able to provide DGR (Deductible Gift Recipient) to its donors. If you have been affected by a natural disaster, please visit our Fencing Help page for information about having BlazeAid volunteers working with you. Please click here for information about How to Establish a BlazeAid basecamp in your area. 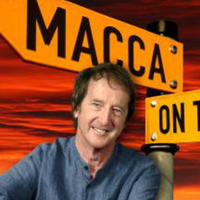 Ian “Macca” McNamara is the Patron of BlazeAid. We thank him for his wonderful support in helping BlazeAid find volunteers to help with our fence rebuilding. ABC radio and TV have been invaluable in their support of BlazeAid since its inception in 2009. Hundreds of our volunteers have heard about BlazeAid through the ABC, especially on Macca s Australia All Over. We look forward to a long ongoing relationship with the ABC, especially with Macca on Sunday mornings.